The Chinese Graphic Paper Market: Recent Trends and Future Prospects under Changing Circumstances - Fastmarkets RISI - Objective Insight. Better Decisions. Analysis of factors contributing to slowed growth in China’s shifting graphic paper market with a ten-year forecast by paper grade and end use. In China, graphic paper markets have transformed because of increased use of electronic media and economic restructuring. In recent years, China has undergone many changes that are hindering the graphic paper industry. Economic growth has slowed from 9-10% per year in 2009-2010 to close to 7% per year in 2014-2015 — as the government seeks to reorient the economy from investment driven growth to consumption driven growth. This, combined with a major shift toward digital media usage has also slowed Chinese graphic paper demand growth. Fastmarkets RISI estimates that demand declined 1-2% per year from 2014-2015, a strong contrast to the 6-7% demand growth that the market experienced from 2009-2010. Prepare for changes in global market conditions driven by the current situation in China. This study identifies end-use markets and graphic paper grades that have been most affected. With the included forecasts, you can also understand what how markets will most likely respond over the next ten years. 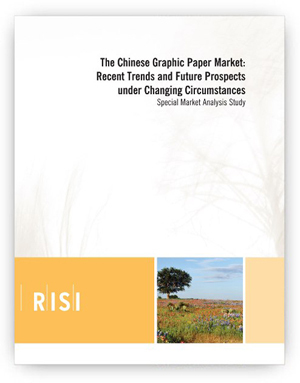 The Chinese Graphic Paper Market: Recent Trends and Future Prospects Under Changing Circumstances gives a fresh perspective on this market and expands upon Fastmarkets RISI’s 2011 edition. 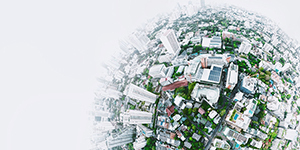 The new ten-year forecast projects how the end-use structure, global and regional macroeconomic developments, and new government policies will affect future graphic paper growth. Within this study, you will also find cost details for major graphic paper producers and an evaluation of their cost competitiveness.